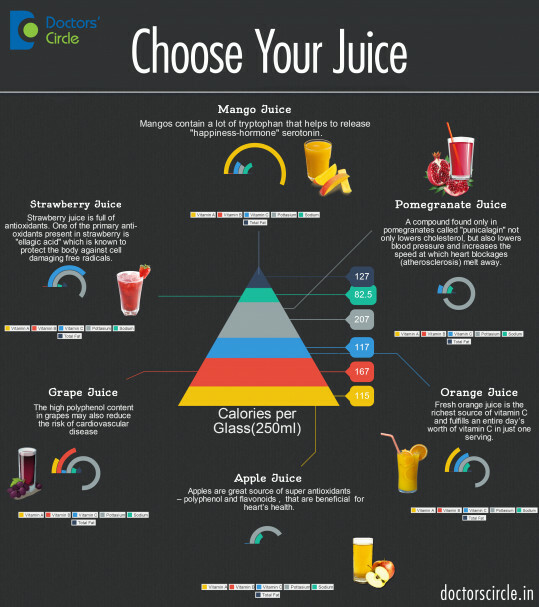 Which fruit juice do you enjoy with your breakfast? Classed as one of your five fruit and vegetable portions of the day which one should you be drinking? As you can see, different juices have different affects. Choose wisely and your body will thank you for it.